First Trailer For Adam Wingard's 'The Woods' "Scariest Film Ever"
Lionsgate has released the first trailer for director Adam Winard's next awesomely terrifying horror film The Woods. The acclaimed horror/thriller director has brought us such cult classics as You're Next, V/H/S, V/H/S 2, and the brilliant The Guest is back with what is being deemed "one of the scariest films ever made"! Check out the scary trailer below and than sound off in the comments section with your thoughts. 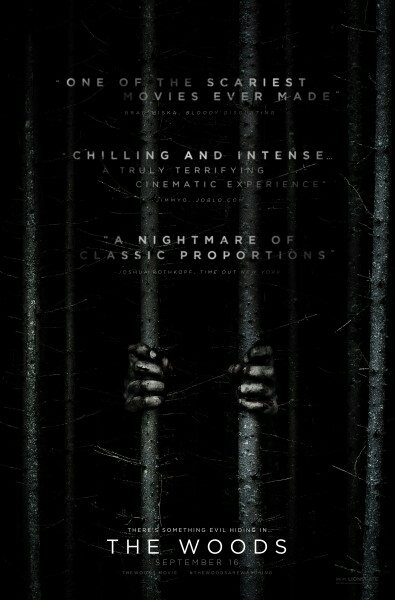 The Woods is set to hit theaters on September 16th.